– Repair of the northbound lanes on Pembina Highway from Ducharme Ave. to Cloutier Dr.
– Restoration of private boulevards and approaches if impacted by construction. – New construction of asphalt bike path and concrete sidewalk on the east boulevard along Pembina Highway ending at bike hub in just south of spray pad park. 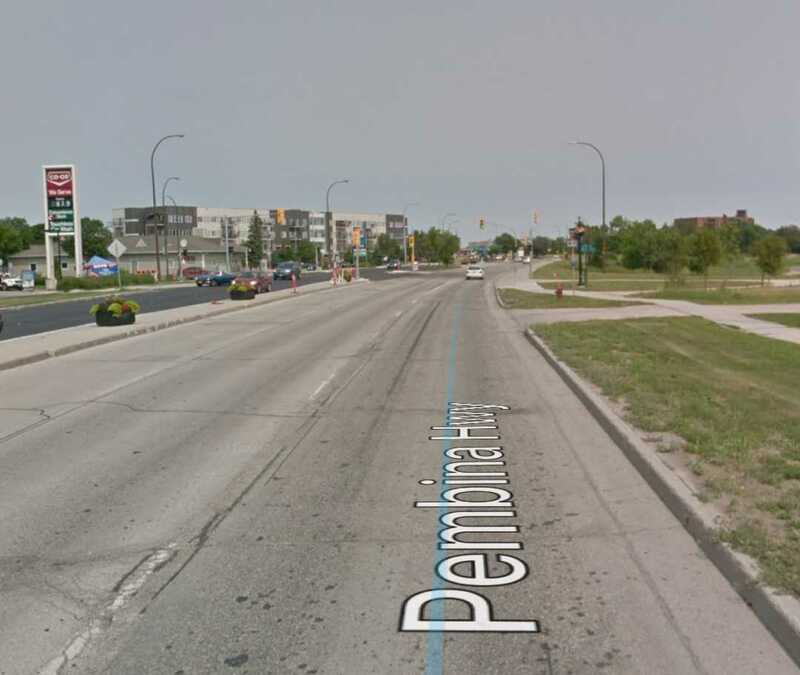 – Partial replacement of curbs and median slabs along the Pembina Highway median. – The placement of a new asphalt overlay to improve the drainage and rideability of the street. During most of the construction period, the northbound lanes of Pembina Highway will be limited to one lane of traffic when crews are working to provide a safe work environment and room for construction equipment. Access to residences and businesses will be maintained whenever possible. Short closures of individual approaches may be necessary for repair work and we will contact you if that is required. Some turning movements may be prohibited at individual median openings or approaches for short periods depending on the work performed. This is a $2.8 M project – yet another year of construction on Pembina but is clearly needed!